The Firepen is a unique lightweight tool for cutting all types of metal without any external power source! 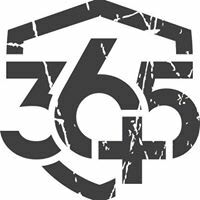 The Firepen is a unique product on the market. It is a lightweight (only 100 gram) tool used to cut any type of metal. The product comes in a handy tube 30 cm in lenght and 2 cm in diameter, which protects the product from ignition and moisture, and can also be used as a handle when using the tool. 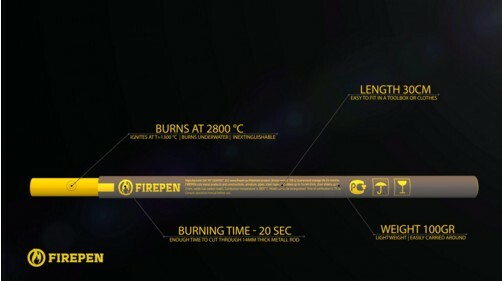 Firepen needs no external power source, so it is perfect to carry arround on special missions, dangerous situations and also while working on terrain. It can be used at great heights or tight spaces, where taking a cable or similar source of energy is nearly impossible. This also comes to effect when we are in situations where we don’t have acces to gas or electricity. It is ignited with a special match stored inside the tube, and burns for 20 seconds at an incredible temperature of 2800 degrees. It is capable of cutting any type of metal, including hardened steel up to 2,2 cm tickness – ideal for cutting locks, bars, cables and even sheets of meterial. Besides the incredible power, it is fire and explosion proof and safe to store and use. 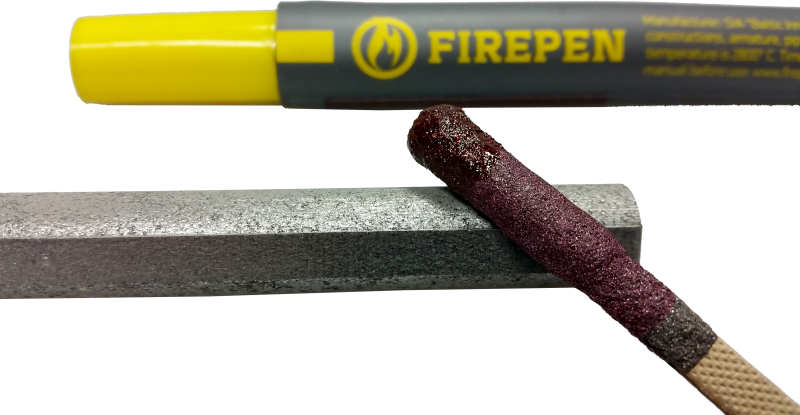 Despite all the unbelivable properties of the tool, the Firepen is still an afordable item for any firefighter, police officer, metal worker or just for keeping in your home in case of emergency! CAUTION: Store away from water or moisture! Extremely high temperature – use gloves and eye protection!